Aldam Heaton was a respected interior designer working in London in the late 19th century, famous for his outspoken views on modern art and artists. 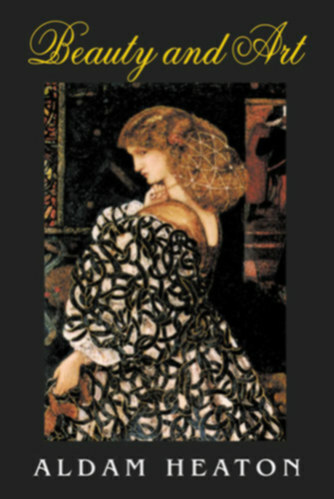 Considered a member of Neo-Classical Arts and Crafts movement, he was also an associate of the William Morris circle. He collaborated with a number of prominent artists, including architect Richard Norman Shaw. Besides his work on the ill-fated cruise ship Titanic — he designed its State Rooms — he gained important commissions from around the world. For example, at Urrbrae House, a bluestone mansion set on a large estate south of Adelaide, Australia, he made many notable artistic contributions to its interior. In keeping with his spiritual orientation, he also strove to enhance the interiors of churches. Heaton's literary output was modest, but still significant in bringing to public and professional attention key concepts of design. Besides Beauty and Art, he edited Furniture and Decoration in England during the 18th century, which contains hundreds of photographic reproductions of the works of such artists as Chippendale, Sheraton, Richardson, and Heppelwhite.